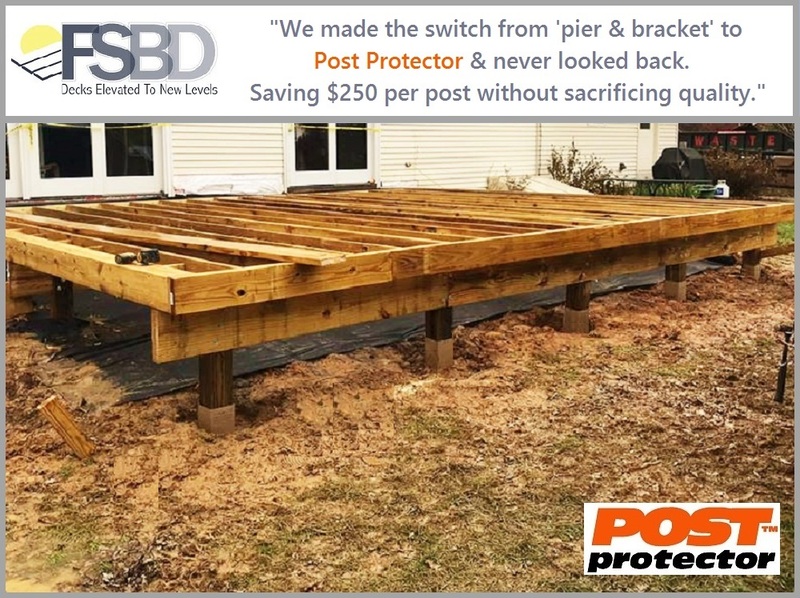 Newark, DE: Thanks to the pros @ FSBD for sharing this pic as they start yet another deck/screened-in porch project with Post Protector. Many have the prudent desire to eliminate direct soil/concrete-to-wood contact of the 'traditional' post-foundation & opt for a 'pier & bracket.' This keeps the framing out of ground contact but adds cost/complication, reducing the 'value' & 'simplicity' of the post-foundation.